A white Ford Bronco carrying O.J. Simpson in the back seat and driven by his friend Al Cowlings led police on an extraordinary pursuit for close to 50 miles along Southern California highways on June 17, 1994. 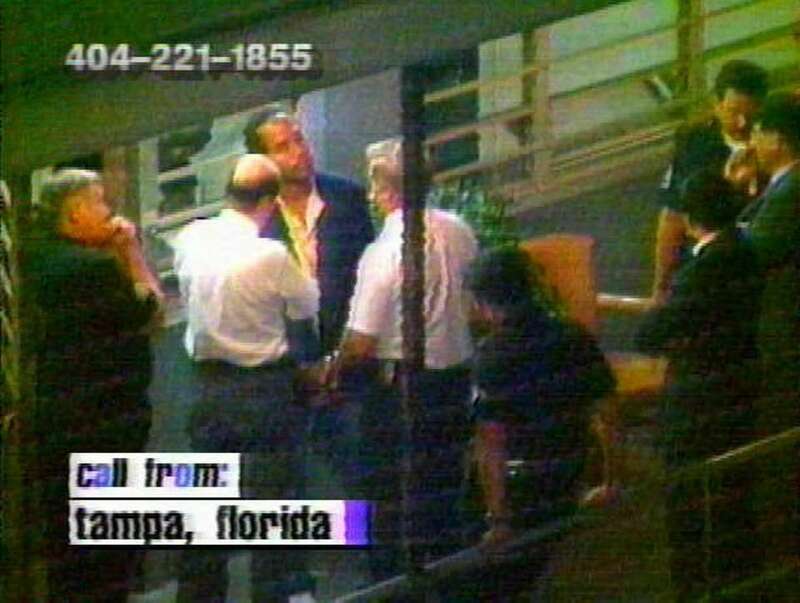 Simpson had been charged with murdering his former wife, Nicole Brown Simpson, and a friend of hers, Ron Goldman. 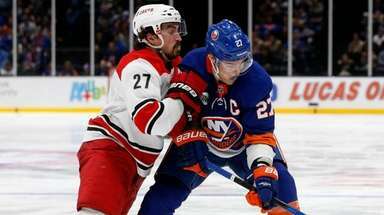 The car chase occurred during the same time as Game 5 of the NBA Finals between the Knicks and Houston Rockets at Madison Square Garden, and NBC kept switching back and forth between the two events. Here are photos from the car chase. 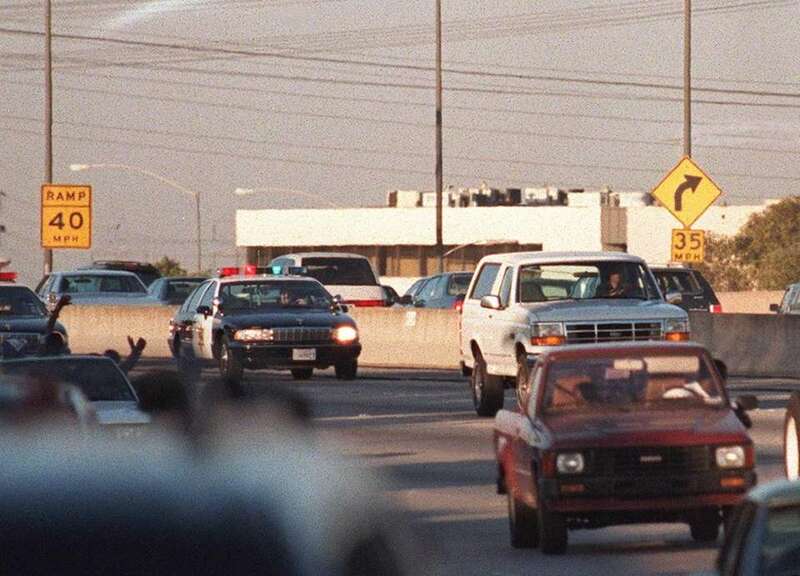 Motorists wave as police cars pursue the Ford Bronco (white, R) driven by Al Cowlings, carrying fugitive murder suspect O.J. Simpson, on a 90-minute slow-speed car chase June 17, 1994 on the 405 freeway in Los Angeles, California. Simpson's friend Cowlings eventually drove Simpson home, with Simpson ducked under the back passenger seat, to Brentwood where he surrendered after a stand-off with police. A white Ford Bronco, driven by Al Cowlings and carrying O.J. 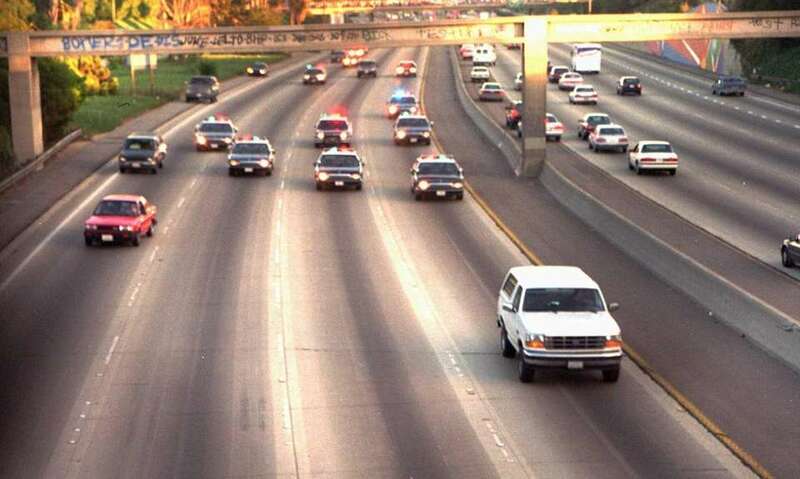 Simpson, is trailed by police cars as it travels on a southern California freeway on June 17, 1994, in Los Angeles. 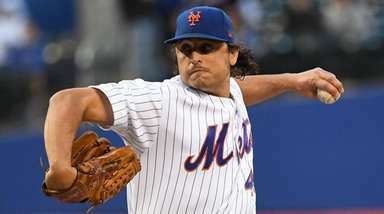 Cowlings and Simpson led authorities on a chase after Simpson was charged with two counts of murder in the deaths of his ex-wife and her friend. 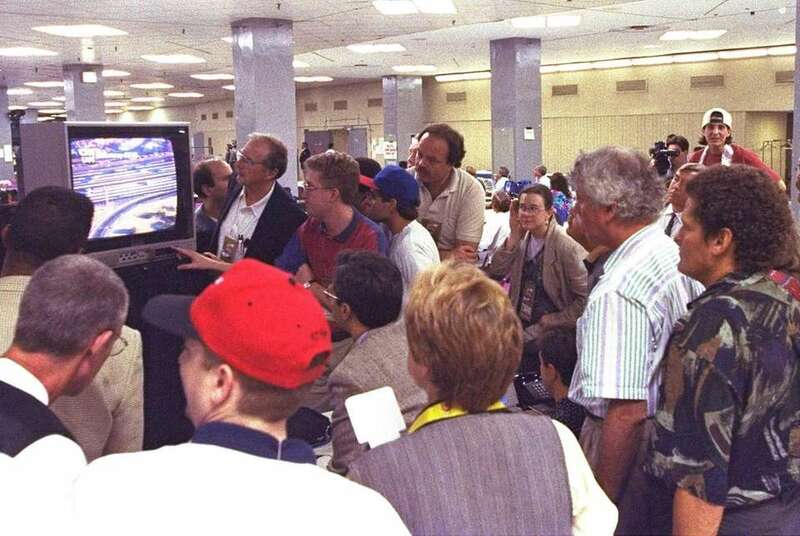 Members of the news media watch live television coverage of the O.J. Simpson driving on Los Angeles freeways during game five of the NBA finals Friday night, June 17, 1994, at Madison Square Garden. 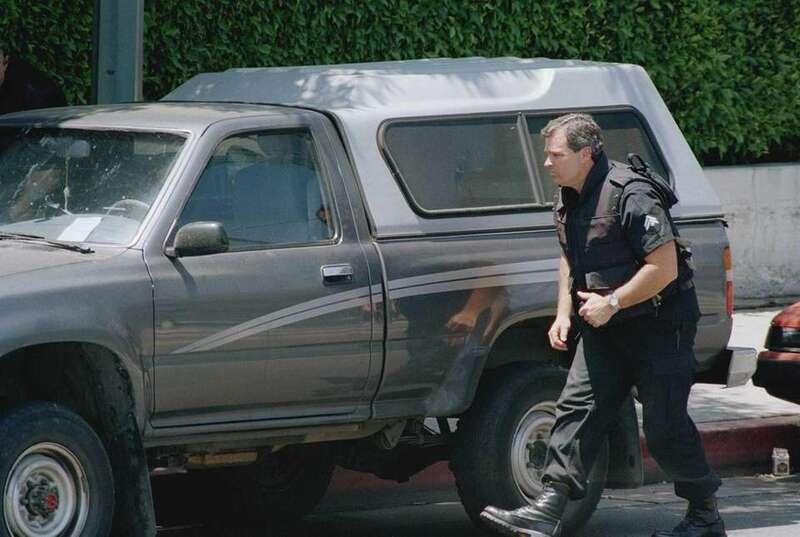 An unidentified Los Angeles Police officer investigates after reports of a bomb threat at police headquarters in downtown Los Angeles, June 17, 1994, where police were waiting for O.J. Simpson to turn himself in for his arraignment on two murder counts. 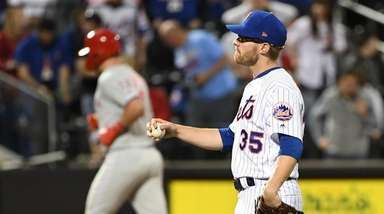 The threat turned out to be bogus. Cheering O.J . Simpson fans holding a "GO O.J." 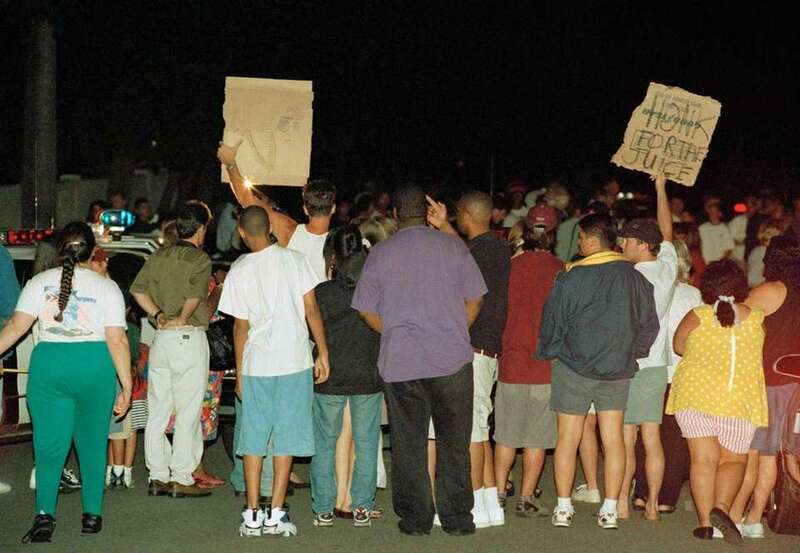 sign and crowd the intersection of Rockingham Drive and Sunset Boulevard near Simpson's home in the Brentwood section of Los Angeles as he was involved in a car chase with the Los Angeles Police Department on Friday June 17,1994. 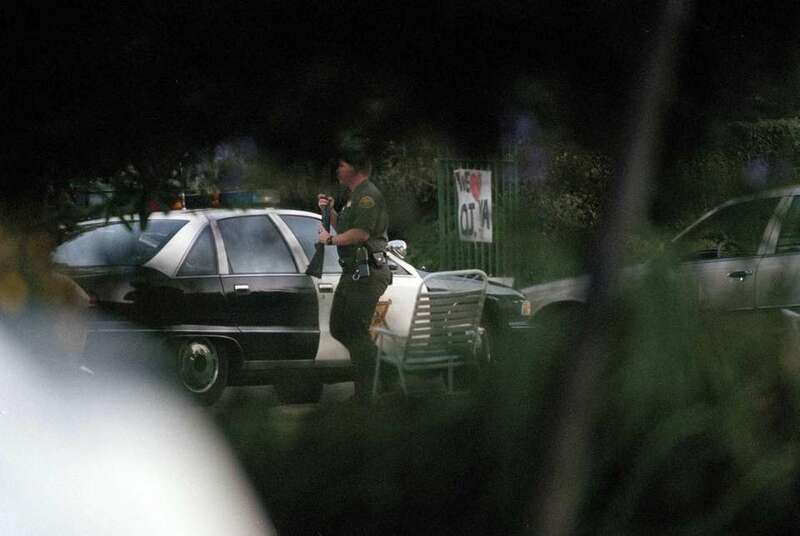 A Los Angeles county Sheriff's Deputy moves to another location in front of O.J. Simpson's house after a two-county pursuit ended at the former football player's home in Los Angeles, June 17, 1994. Unidentified family members of O.J. 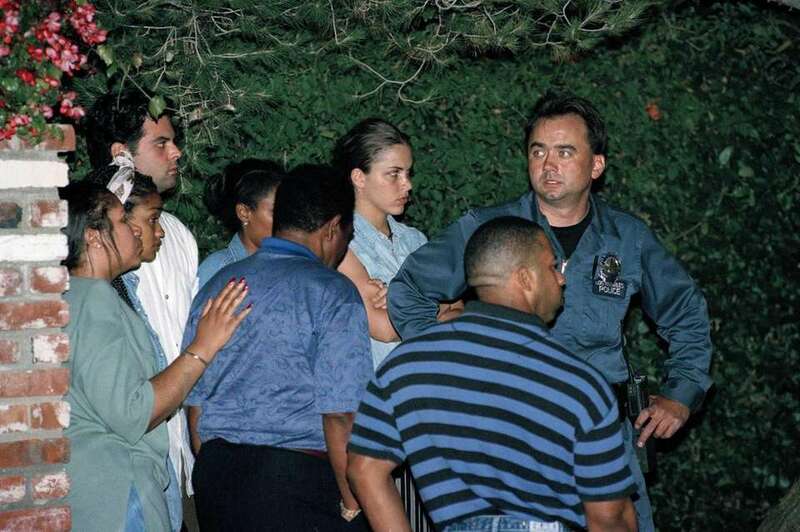 Simpson await clearance to enter the house after Simpson gave himself up after leading the police on a lengthy chase on Southern California freeways and then a standoff at his mansion in the Brentwood section of Los Angeles, June 17, 1994. Robert Kardashian, a friend of O.J. 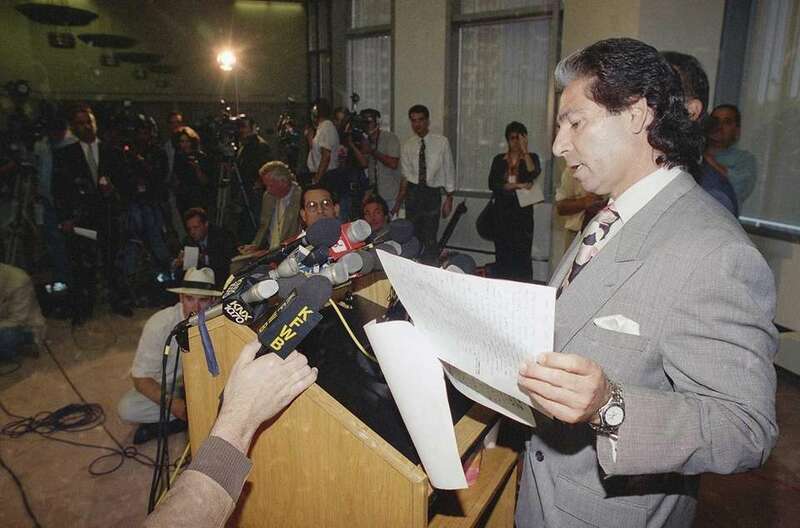 Simpson, reads a letter Simpson wrote before disappearing, June 17, 1994 during a news conference in Los Angeles. 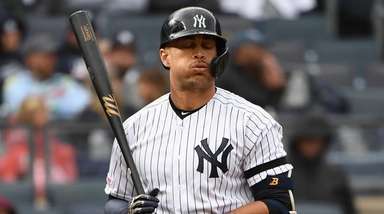 Simpson was declared a fugitive and eluded police for several hours before a freeway chase ended in his arrest. Simpson faces two counts of murder. 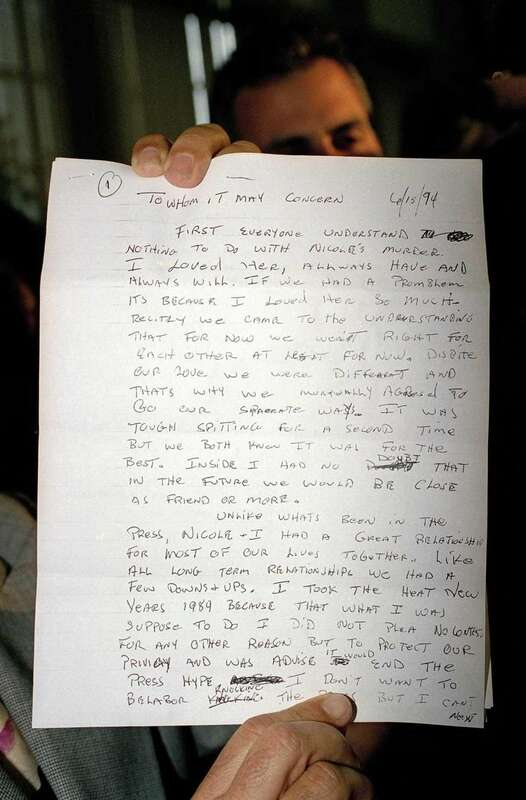 This is the first page of a four-page letter written by O.J. Simpson concerning charges against him in connection with the murders of his ex-wife Nicole, and Ronald Goldman, shown June 17, 1994. 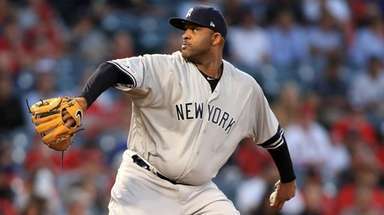 As of early evening, Simpson was leading authorities on in a car chase outside the Los Angeles city limits. 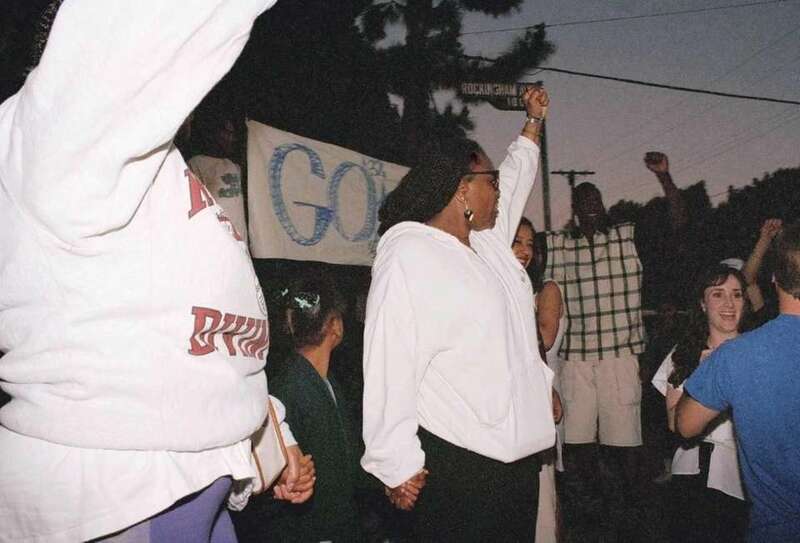 Scores of curious onlookers cheer and hold signs waiting for O.J. Simpson Friday June 17, 1994, near his home in Los Angeles. O.J. 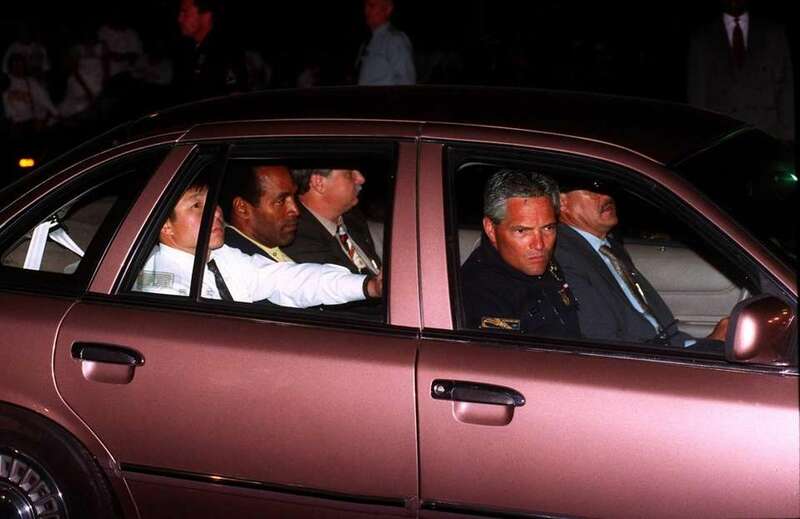 Simpson, center of rear seat, rides into Parker Center, the Los Angeles Police Department headquarters, Friday night, June 17, 1994 after his arrest following a low-speed freeway chase which ended in the drive of his Brentwood estate in Los Angeles. Simpson was charged with two counts of murder in connection with the slaying of his ex-wife Nicole, and Ron Goldman. O.J. Simpson, center, stands handcuffed during his booking on murder charges June 17, 1994, in Los Angeles. ‘30 for 30’ spotlights O.J. saga powerfullyThe first two parts are best, the third mostly trial boilerplate, the fourth (on the post-verdict) also good. Why we still care about ‘The People v. O.J.’FX’s hit series “The People v. O.J. Simpson: American Crime Story” -- which miraculously explains what the 1995 trial meant to us all -- ends tonight.